The Young Victoria (2009) as the title might suggest, documents the early life and reign of Queen Victoria. The film is extremely accurate, not just in its portrayal of historical events but also in matters of dialogue and expression. Filming took place at various English landmarks in order to support the accuracy and authenticity. This aside it’s also a very good film and you should go watch it. Right now. Or if you have already watched it, you might be interested to learn more about the history behind some of the events and people shown in the film. 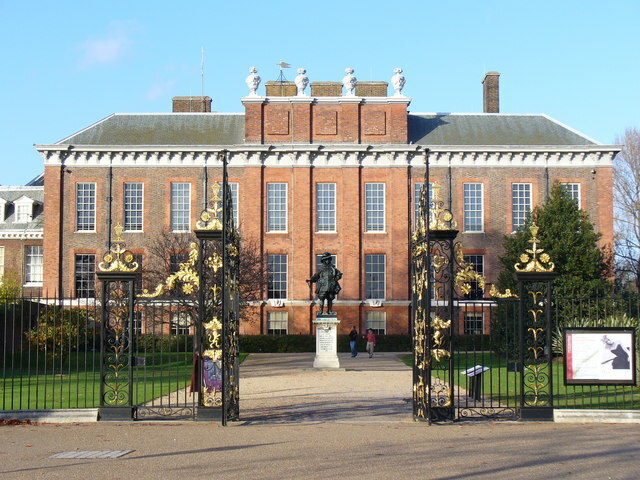 Kensington Palace where Victoria grew up. A shiny gold penny if you can figure out why the Kensington System was so named. Victoria was brought up by her mother, Victoria the Duchess of Kent and the comptroller of the latter’s household; Sir John Conroy at Kensington Palace. Between the two of them they drew up a strict set of rules for Victoria’s upbringing which became known as the Kensington System. The rules were entirely restrictive and allowed Victoria no freedoms, however small. The intention was that upon her accession Victoria would allow her mother to rule as regent, while Conroy in turn ruled through the Duchess. Victoria was not allowed a moment alone with the exception of attending the toilet. She was supervised at all times either by her mother, her tutor or her governess. She was not allowed her own bedroom; instead she shared all rooms with her mother. She could not walk up and down stairs unaccompanied; she had to hold her mother or governess’ hand when doing so. Victoria was not allowed to socialise with children her own age. When she did meet other children they were chosen by her mother and Conroy and usualy restricted to her half sister Feodora and Conroy’s children. Victoire Conroy who was some months younger than Victoria was her most frequent playmate whom Victoria had a low opinion of, which stemmed from her feelings regarding Conroy. Her day was strictly itinerated down to the hour, with each activity recorded in a diary. She was not allowed contact with her extended family, especially her uncle King William IV. Victoria was only allowed to read particular books approved by her mother or Conroy, just as all forms of entertainment were vetted before she could participate. If William IV were to die before Victoria came of age she was to sign a regency order to allow Conroy and the Duchess to rule in her stead, they repeatedly tried to force her signature especially during a brief illness. Meanwhile they circulated the idea that Victoria was incapable of ruling alone and that she desired a regency even if she were to succeed over the age of eighteen. Although the intention of the Kensington System was to render Victoria completely dependent on her mother and Conroy, the opposite effect occurred and the system only served to reinforce Victoria’s self determination and independence. Upon her accession her first acts were to move into a room of her own, to be allowed an hour a day to herself in complete privacy and to ban Conroy from her apartments. Duchess Victoria of Kent was an extremely ambitious woman. Upon her second husband’s death when their daughter Victoria was less than a year old, the Duchess opted to remain in England rather than return to her palace in Coburg. Her decision to remain in England was based on her hopes that her daughter would one day be queen, though at the time the younger Victoria was only third in line to the throne. Her gamble paid off when after a series of deaths in her late husband’s family over eleven years, Victoria was recognised as the heiress presumptive and thus the Duchess could potentially become regent. From her husband’s death the Duchess employed his equerry, John Conroy, as the comptroller of her household and later as her private secretary. Their intention to force the princess Victoria into a regency alienated them from the royal family and the Duchess had a poor relationship with the king, despite his fondness for his heir. Both the Duchess and Conroy had hoped that the frail king would die before Victoria came of age, though the king declared in their presence that he intended to survive at least until she was eighteen and would not need them. He was as good as his word and died a month after Victoria’s eighteenth birthday. One of Victoria’s first actions as queen was to banish her mother to the palace rooms as far away from her own as she could. 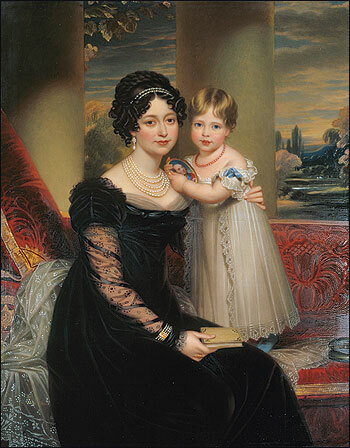 Their relationship would remain distant until 1840 when the queen had her first child; another Victoria. By this point Conroy was no longer in the Duchess’ service and was living on the continent while the queen’s childhood governess, Baroness Lehzen, who had encouraged the rift had also left service. Conroy was an extremely ambitious officer in the British army who gained the confidence of and employment with Victoria’s father; Prince Edward, Duke of Kent and Strathearn, in 1817 shortly before the Duke married Victoria’s mother; the Duchess. 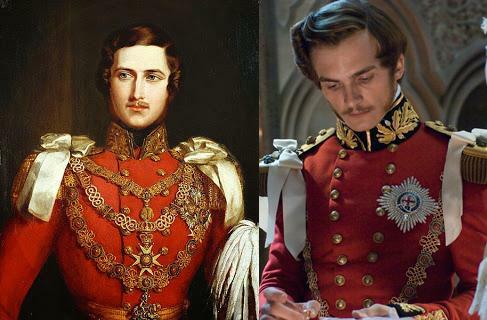 Conroy was one of the executor’s of the Duke’s will and attempted to have himself named as Victoria’s guardian. When this failed, he instead ingratiated himself with the widowed Duchess and practically wielded the power of a guardian anyway. His closeness to the Duchess and their combined efforts to impose a regency order on the young Victoria led to rumours that the two were lovers. Indeed, there are still theories that Conroy was in fact Victoria’s father (or in any case that the Duke was not her father). In her later years Queen Victoria was shocked to learn of the rumours and insisted her mother’s faith would not have allowed such impropriety. Upon her ascension Victoria banished Conroy from her apartments and household, though she could not extend this banishment to her mother’s household. As an unmarried woman she was required to continue living with her mother, hence why she relegated her and Conroy to apartments on the other side of Buckingham Palace. After Conroy’s death it was revealed that he had squandered a great deal of the Duchess’ money as well as the income of Princess Sophia, whom he had also acted as a treasurer for. Lord Melbourne around the time Victoria came to the throne. Despite their father-daughter relationship rumours abounded that they would marry. The film depicts Victoria’s relationship with her first Prime Minister with some accuracy though Melbourne is shown to be significantly younger in the film. In reality he was forty years older than her, though the two became extremely close, and rumours would circulate that they did intend to marry. Victoria thought of him as more of a father figure, something she had never had, and he spent the latter years of his political career educating her in politics. Victoria had appointed Melbourne as her personal secretary and in turn he appointed her ladies in waiting, as she had little experience at court. Naturally, her ladies were all supporters of his political party or the wives of prominent Whig politicians. This would prove problematic when Melbourne resigned two years after Victoria’s ascension. The queen invited the leader of the opposition Robert Peel to become Prime Minister, but as he had a minority government he felt the monarchy should show its support, something not easily done when the queen’s household was made up of Whig ladies. He requested that Victoria dismiss some of her ladies, a request which was refused as the queen felt her household should be above political intrigue. The decision was extremely unpopular with the public, Peel refused to form a government and Melbourne was required to delay his retirement and remain Prime Minister. Although the film shows the Bedchamber crisis and Victoria’s relationship with Melbourne as causing great problems for the monarch, there was one other scandal that affected Victoria’s popularity which did not appear in the film. 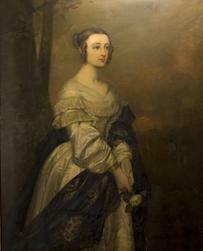 Lady Flora Hastings, a lady in waiting to the Duchess of Kent, was one of those present during Victoria’s upbringing under the Kensington system, something which the queen would resent her for. Hastings’ access to the queen was restricted as much as Victoria could allow upon her ascension. In 1839, two years after Victoria became queen, Hastings suffered pain and swelling in her lower abdomen which prompted rumours among Victoria’s ladies that she was pregnant. Victoria herself speculated that if she were pregnant Conroy would be the father. A medical examination showed that Hastings was actually a virgin and the apparent physical signs of pregnancy was a tumour on her liver, a complaint which resulted in her death shortly afterwards. Conroy manipulated a press campaign against the queen for slandering Hastings in the hopes that Victoria could be forced into appointing Conroy to a high post. Although it did not meet these aims, the public condemned the queen for involving herself in the rumours. Although the film omits the Hastings scandal it is correct in showing that Victoria made unpopular decisions in the earliest days of her reign, something which only her marriage and her almost immediate pregnancy resolved. The courtship of Victoria and Albert was encouraged by their mutual uncle Leopold, King of the Belgians, who arranged for both his nephews to meet Victoria. Although the details of their visits and the progression of their relationship was private and thus unknown to historians, Victoria wrote to Leopold praising Albert and the two were mutually affectionate. Initially as queen, Victoria resisted attempts to rush her into marriage, though she proposed to Albert within three years and they were married in 1840 with Victoria falling pregnant two months later. Although the couple were very much in love, Albert struggled with his role as a husband but not the head of the household, nor was he given any office or titles to reflect his position which left him with little responsibilities. The queen’s household was directed by her childhood governess Baroness Lehzen, while she relied on Lord Melbourne for political advice which probably did cause friction between the couple. They were indeed shot at by a gunman while riding in a carriage, though the film dramatises the event and injures Albert, in reality he was praised for his actions in putting himself between the man and Victoria, but neither were hurt. 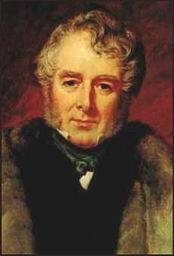 Eventually Albert managed to remove Lehzen from power and Melbourne was replaced by Robert Peel allowing him to have a more solid relationship with Victoria. He took an unconventional interest in the running of the children’s nursery, an interest which some have considered to be the reason all nine of his children survived to adulthood. Although Albert was not given any considerable political power he championed a number of social causes and began the long process of modernising the monarchy, something he recognised as important given the advent of inventions that made them more accessible to the public such as the camera. Fascinating! I am appalled at my ignorance of this period. Thanks for a great read. I’d heard of the Lady Flora Hastings scandal and of Victoria asking to sleep apart from her mother, but didn’t know the background behind it — fascinating stuff, I’ll have to get the movie. I’d seen before that Harriet Walter is in it, playing Queen Adelaide, so that already pushed it up a notch on the “See this at some point” list.